I caved and bought this a while ago and after toting it along with me on multiple trips, I finally feel comfortable enough to share my opinions. Overall even though there look to a pretty even amount of pros and cons, I firmly believe that the pros outweigh the cons. Blending my makeup in has never felt more cooling and comfortable and the results are unparalleled. 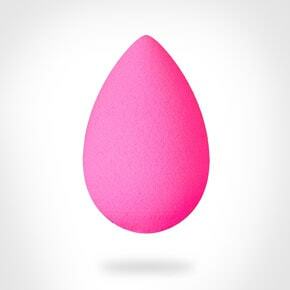 I’ve even discovered that using the beauty blender to apply my powder doesn’t make me open my eyes super wide to get under my eyes with a regular brush and thus doesn’t get powder on my contacts (a problem for those of us with Chronic Dry Eye). The price is definitely way too high but seeing as I only think I’ll have to purchase one of these, I can deal. I’m sorry to hear that! You’ve wet them before using them I’m guessing?